2010 December | Thanks a Glatt! 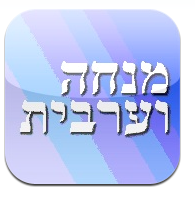 Sephardi Siddur App Now Available in the iTunes Store! I am proud to announce the completion of my first App, Mincha/Arvit/Birkat Hamazon Sephardi Style! Available in the iTunes store now! Here is the link and thanks to everyone for supporting Thanks a Glatt!